Star Trek turns 50 years old today and, while there certainly has been plenty of official stuff to buzz about (The new movie is pretty darn good and a new VOD show has tongues wagging), it is perhaps even more interesting to see what the sci-fi legend's fanatical fan-base has done with their own blood, sweat, and tears than what Trek's corporate overlords turn out. There's another reason to check out this latest batch of homegrown movies and shows: This may be your last chance. The year-long legal kerfuffle between Axanar Productions and CBS/Paramount has led the the TV and film powerhouses to begin crafting a set of formal guidelines for fan productions. These new rules are a little... tighter than folks have been used to. There is a very real possibility that every single entry in out little list could come under fire at any moment. In short, get 'em while they're still here! You can read more of the Axanar case and ongoing fan film drama on AxaMonitor or any other Star Trek news site. Much like its elder sibling, Star Trek New Voyages (Formerly Star Trek Phase II, as covered here on GUO four years ago), Star Trek Continues attempts to fill in the missing fifth year of the adventures of the NCC 1701 "No bloody A, B, C, or D". Obsessively detailed recreations of the 1960s sets go without saying, but it is the immaculate recreation of Kirk's Shatnerisms (once you get past Vic Mignogna's squeaky voice (or, if you're an anime fan, Full Metal Alchemist flashbacks)) and the genuinely thought provoking plot lines that will keep you hypnotized throughout. As a special treat, Continues even includes a direct sequel to the (in)famous episode " Mirror, Mirror" that fans of the ISS Enterprise won't want to miss! 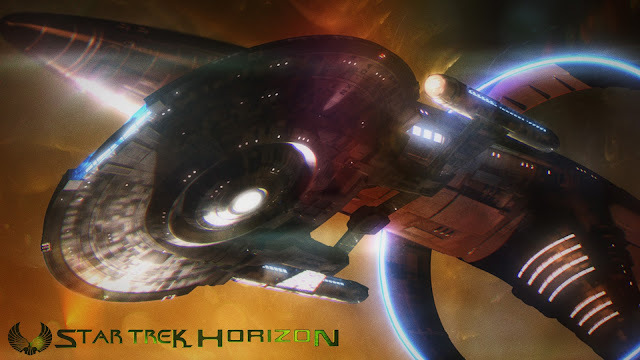 A passion project three years in the making, Star Trek Horizon is a full length movie that takes us back to the Enterprise NX prequel times for a wonderful new adventure with foes both new and old. If you ever wanted something truely new from the Star Trek franchise, Renegades is exactly what you've been waiting for. Forget the squeaky-clean UFP and Star Fleet, this feature follows a brutal batch of interstellar pirates drafted by a secret Federation intelligence agency to save the galaxy. In short, it's Star Trek's version of The Dirty Dozen (sans Lee Mavin but adding a Breen (I bet he wouldn't mind shaving with cold water ;) )). 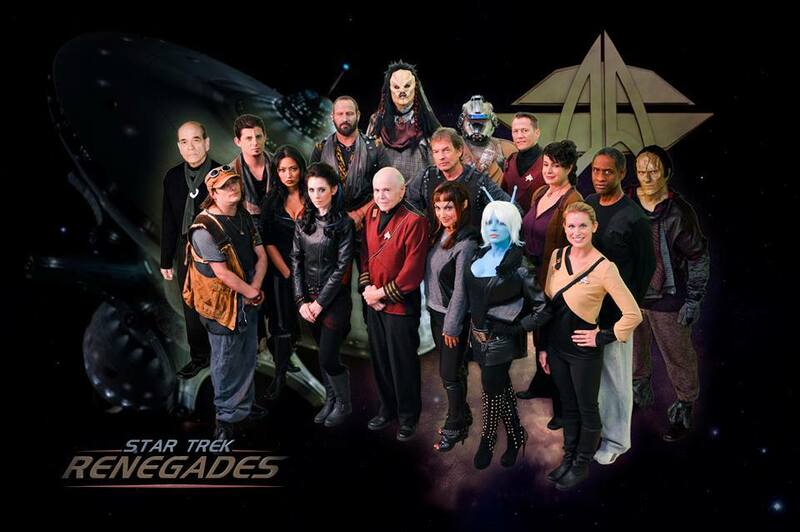 NOTE: Renegades' web site seems to be in a bit more disarray than most fan features following the Axanar fallout. Here's a direct link to the feature on YouTube. Fan films gained new life and new frontiers with the advent of free, online video hosting sites. Back in the early 2000s, Hidden Frontier was certainly one of the most ambitious projects leading the way. Lacking the crowd sourced cash flow of its contemporaries listed above, the original Hidden Frontier series is a little... cringe inducing to watch. Pushing past those earliest of productions, there is no arguing about the ambitious later parallel series, Odyssey and Helena Chronicles, both of which are linked by a separated homosexual male couple and share a single, epic finale. In terms of viewing order, I'd suggest jumping into Odyssey, but save the last episode. Next, watch all of Helena Chronicles. Finally, Watch the last Odyssey episode (3.01 Tossed Upon The Shore). YouTube Playlists. Obviously, this is quite far from an exhaustive list, just a few of my recent favorites. Hopefully this feature will inspire you to look beyond the usual sources. Star Trek has come to mean something very personal and important to many people's lives. Some of those people have the talent to share that love and take their beloved universe full of hope and imagination to new and daring places. Places where no one has gone before.